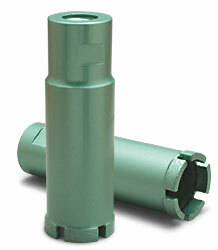 Supreme Quality Sonico® Turbo-Segmented Diamond Core Bits Deliver Maximum Drilling Speed and Hole Production. Laser Welded for Wet and Dry Drilling Operation Through Hard Granite, Marble and Natural Stone. Vacuum Brazed Diamond Strips Enable Freer and Cleaner Performance. 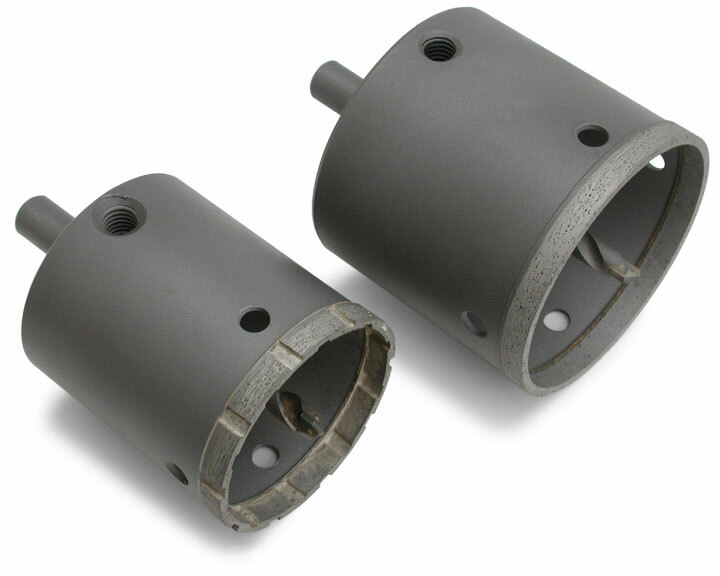 Up to 120 Holes per 1 3/8″ Core Bit. 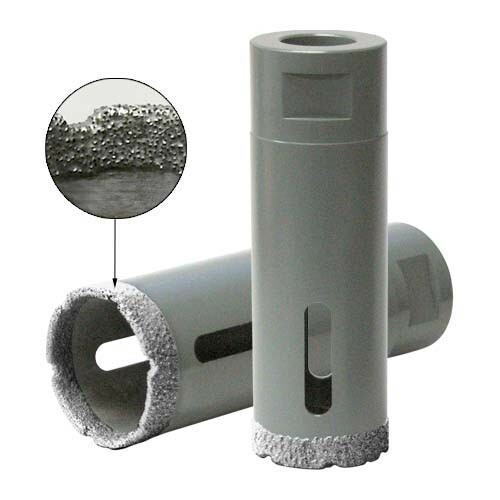 1 1/2", 1 1/4", 1 3/4", 1 3/8", 1", 2"
Supreme Quality Verde® Brand Crown Diamond Core Bits Deliver Fast and Super Clean Drilling Action With Smooth, Chip Free Results Through Hard Granite, Marble and Natural Stone. 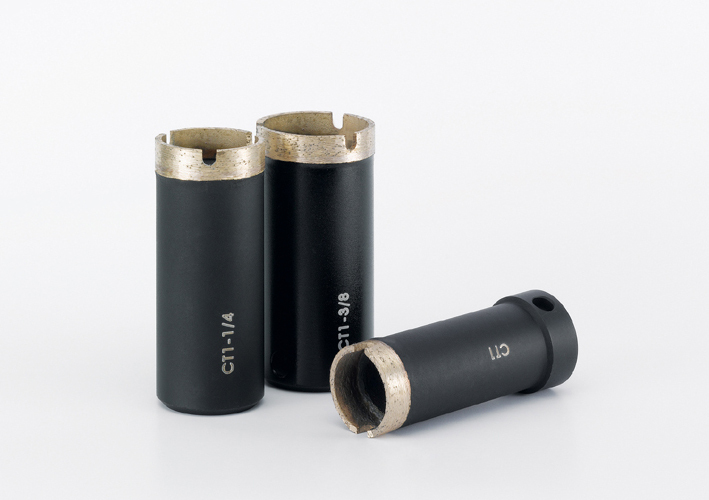 Up to 125 Holes per 1 3/8" Core Bit. Supreme Quality, Thin Wall CNC Diamond Core Bits Deliver Fast, Precise and Very Clean Results Through Hard Granite, Marble and Natural Stone. 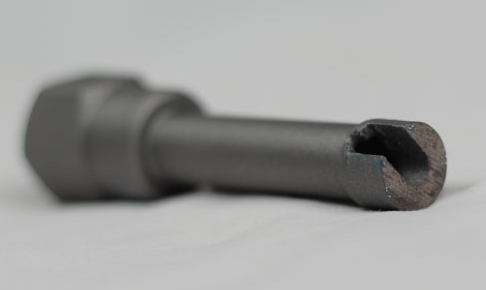 Up to 120 Holes per 1 3/8″ Core Bit. 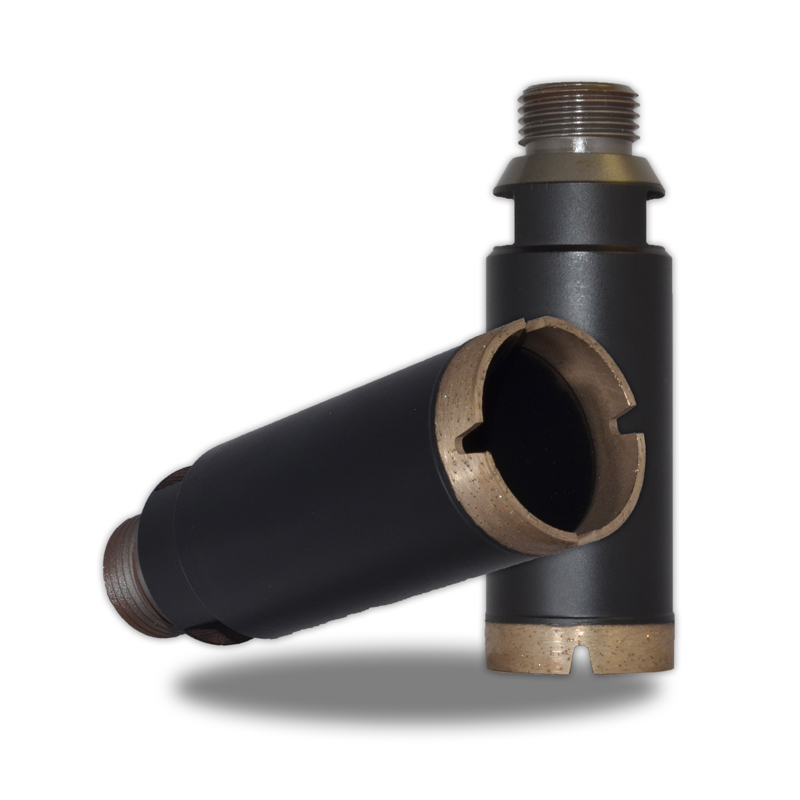 Supreme Quality Excel® Turbo-Segmented Diamond Core Bits Deliver Maximum Drilling Speed and Hole Production. Laser Welded for Wet and Dry Drilling Operation Through Hard Granite, Marble and Natural Stone. Vacuum Brazed Diamond Strips Enable Freer and Cleaner Performance. 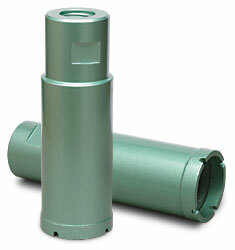 Up to 120 Holes per 1 3/8" Core Bit. Supreme Quality, Thin Wall Diamond Core Bits Deliver Fast, Precise and Very Clean Results Through Hard Granite, Marble and Natural Stone. 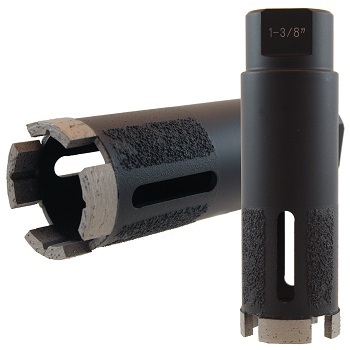 Up to 100 Holes per 1 3/8″ Core Bit. 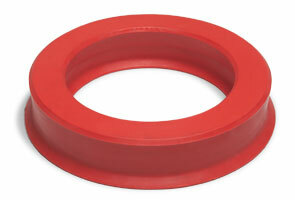 Rubber Suction Ring Ideal to Retain Water for Wet Drilling Operation. 2 5/8" Center Diameter. 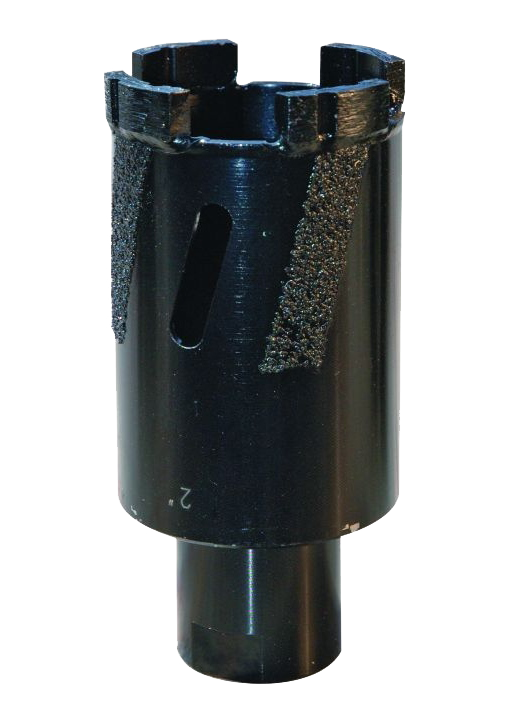 Professional Quality T-31 Vacuum Brazed Diamond Anchor Bits Deliver Fast & Efficient Slots for Sink Anchoring. 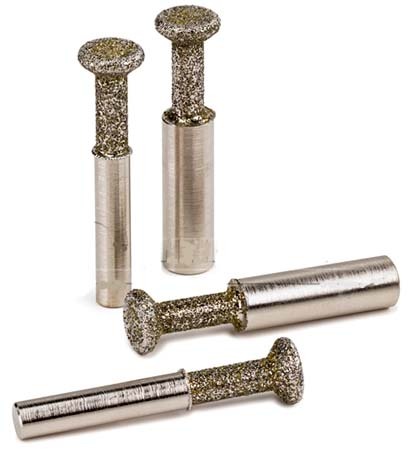 Supreme Quality Vacuum Brazed Diamond Diamond Core Bits Deliver Fast, Chip Free & Clean Drilling Results on Marble, Limestone, Travertine and Softer Stone Materials. Premium Quality, Verde® Brand Segmented Diamond Core Bits Deliver Fast and Clean Drilling Action Through Hard Granite, Marble and Natural Stone. 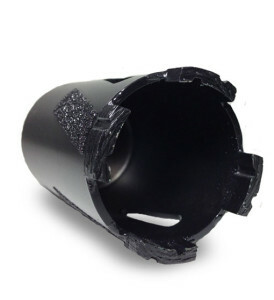 Up to 100 Holes per 1 3/8" Core Bit. 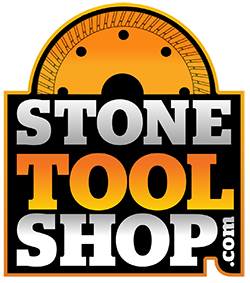 Fabricator Quality, Thin-Gauge Diamond Turbo Core Bits with Center Carbide Pilot Drill Delivers Faster & Cleaner Drilling Action through Porcelain, Tile and Natural Stone. Increased Hole Production Life at an Economical Price. Premium Quality Non Coring Diamond Drill Bits Deliver Super Fast and Clean Drilling Results Through Hard, Granite, Marble, Porcelain and Natural Stone. Excellent Drilling Precision for Small Diameter Holes. 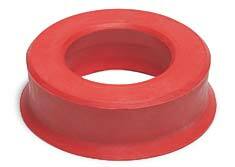 High Performance Replacement Diamond Tips for Wizard Machines Provide Fast & Clean Cutting of Sink Holes. Maximum Longevity.